But don't toss your DEET yet. Could the trick to dodging mosquitos this summer be sitting on top of your dresser? Maybe not, but it comes close. A study from New Mexico State University (NMSU) found that Victoria's Secret Bombshell perfume is moderately effective at repelling two types of disease-carrying mosquitos: Aedes albopictus and Aedes aegypti (aka the species spreading Zika). The research, which was published last fall in the Journal of Insect Science, compared the efficacy of eight commercially-available mosquito repellents, two fragrances, and one vitamin B patch. They used each product on a person's hand and noted whether mosquitoes were attracted or repelled. 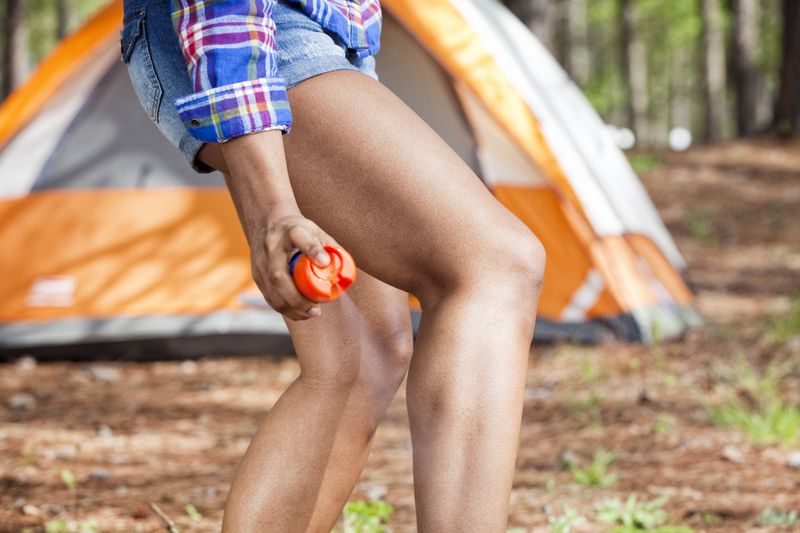 Unsurprisingly, the researchers found that products containing DEET as the primary ingredient were the most effective in keeping mosquitos away for the longest period of time. (Only one DEET-free repellent produced effective and long-lasting results: Cutter Lemon Eucalyptus Insect repellent.) What they weren't expecting to find, however, was that the sweet, floral scent of Victoria's Secret Bombshell kept the pests at bay for two hours. "We tested VS Bombshell because one of our test subjects had gotten it as a birthday present, so it was a completely random pick," study author Immo Hansen, PhD, said in an interview with Today. Mosquitos use their sense of smell to detect their hosts. The researchers speculate that the perfume may have provided a "masking odor," temporarily keeping the mosquitos from picking up common human scents. But the researchers note that they used a high concentration of the perfume, and that lower concentrations might produce different results. They caution against using the fragrance as an insect repellent, and instead recommend products that have high concentrations of DEET. With the skeeter season upon us, and the possibility of Zika hitting the United States, an effective repellant will help protect you from getting an insect-borne disease. It's especially vital if you're heading to a country where the Zika virus is being actively transmitted. "In our experiments, best protection was achieved with 30% or 95% DEET-containing repellents, or oil of lemon eucalyptus," Hansen told Today. "I personally use a 30% DEET repellent when I go into the field—or my backyard." What Is West Nile Virus Exactly–and How Much Should You Worry About It?